Two of Southeast Queens, mostly highly regarded and internationally respected jazz artists will be performing together this Saturday, March 25th, 2017 in St. Albans, Queens, at the underground spot for jazz - Jackson Room. This will be a great event in our community. Jackson Room's slogan is and claim to fame is "Bringing World Class Jazz back to our community!" Jackson Room, has featured performances with some of the worlds leading jazz performers like Tom Browne, Paula Maya, Willie Martinez and many more. 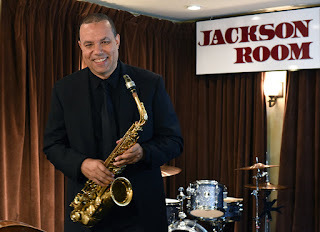 Acclaimed alto saxophonist Ed Jackson, a respected band leader, recording artist, entrepreneur, and club owner of Jackson Room, with be the special guest for Eddie Allen and his quartet. Eddie Allen, also an outstanding jazz standout, will be showcasing his tremendous talents along with his quality performing quartet Saturday night. Ed Jackson, owner of Jackson Room, is upbeat about this next show at the increasingly popular club. "I am very elated and thankful for encouraging supporters of Jackson Room, for their continuing to make Jackson Room - the jazzy place to be in Queens! Ed chimes in further "Increasingly, I am inspired from their unwavering support to continue the endeavor of bringing world class jazz back to our community." This year has been a great year, thus far, for Jackson and jazz performances at Jackson Room. Their last performance, according to Jackson, with the talented Willie Martinez Quartet, was again "an invigorating sell out performance!" He is therefore just as excited about his club's next performance with Master Trumpeter extraordinaire Eddie Allen. 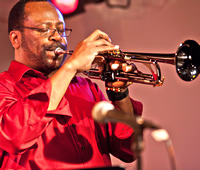 Eddie is a highly regarded trumpeter from the Southeast Queens/Jamaica area. His intense, profound, and mesmerizing play is a thing to behold and enjoy. We can't wait to see them play together with Eddie Allen and his band, making it a jazz collaboration to remember at Jackson Room. Eddie Allen is known to push the boundaries with his electrifying jazz improvisation. You'll definitely want to hear him perform his forward moving and sophisticated musical stylings... So come on out to this community event in our neighborhood and Push Forward With Jazz, March 25th, 2017 with The Eddie Allen Quartet, and Special Guest Ed Jackson on sax. Remember most of their shows sell out in advance so why don't you RSVP for this promising performance now. Attend and experience this important occasion only made possible due to our community's continued support. Why don you make your Reservation now?